If you visit Babylonstoren now and take a stroll down to the dam at the far end of the farm, you’ll notice a new woodland is springing up. The gardeners are hard at work planting more than 300 indigenous trees, which will form a beautiful forest in the shape of a half-moon along the west side of the dam. 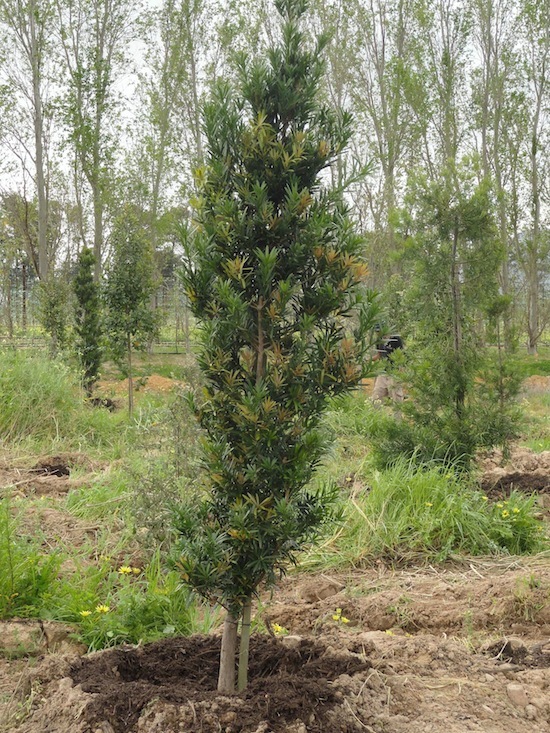 It is a very exciting opportunity to plant over 20 species of trees. 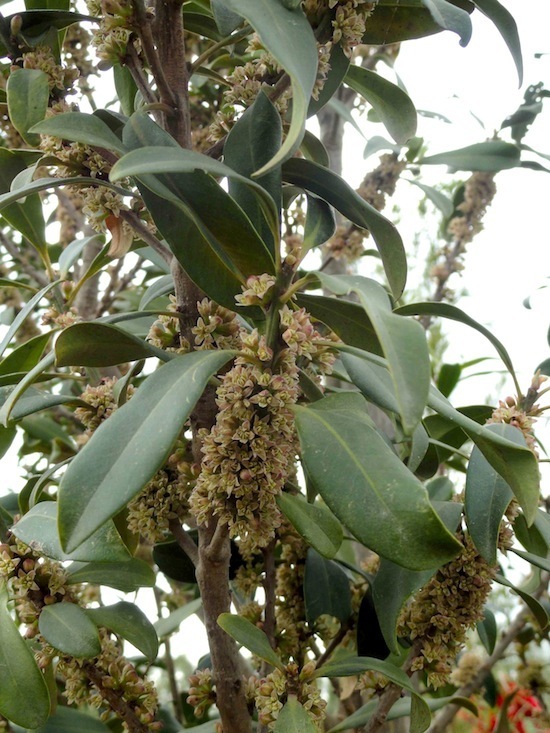 We chose them, firstly, because they are indigenous to the South-western Cape, hardy and easy to grow. Secondly, they have great value as future timber trees. I would love to think that we could go there in 100 years’ time and harvest a yellowwood tree or Cape beech for a special table or cupboard! In time, the yellowwoods will be the forest giants – the Outeniqua yellowwood (Podocarpus falcatus), whose wood is used in a lot of local furniture, is actually the tallest indigenous forest tree in South Africa. To help them get going we planted a number of species, such as wild peach (Kiggelaria Africana) and false olive (Buddleja saligna), as fast-growing pioneers and windbreaks to protect the slower growing forest trees. 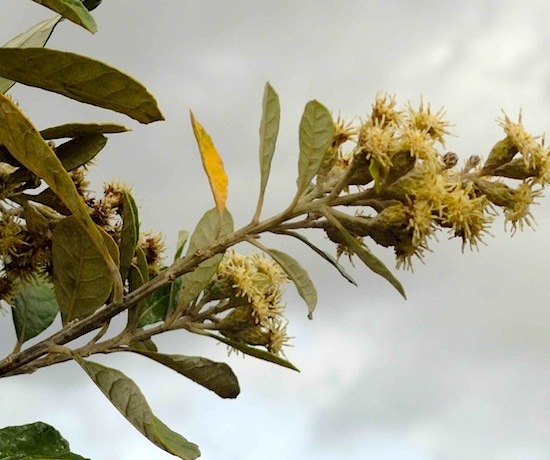 The red alder or lepelhout trees (Cunonia capensis), which love water, were planted in seasonally wet seepage areas and the tough Karee (Rhus lancea) in the dry windy spots. The trees, all between two to four years old, may only be a metre or two tall at this stage, but they have been planted densely so they already create the feeling of a woodland. In another 10 to 15 years, the tree canopies will grow together at different heights to shade the forest floor. Ultimately, the forest will be a lovely contrast to the farm’s eight-acre formal garden.